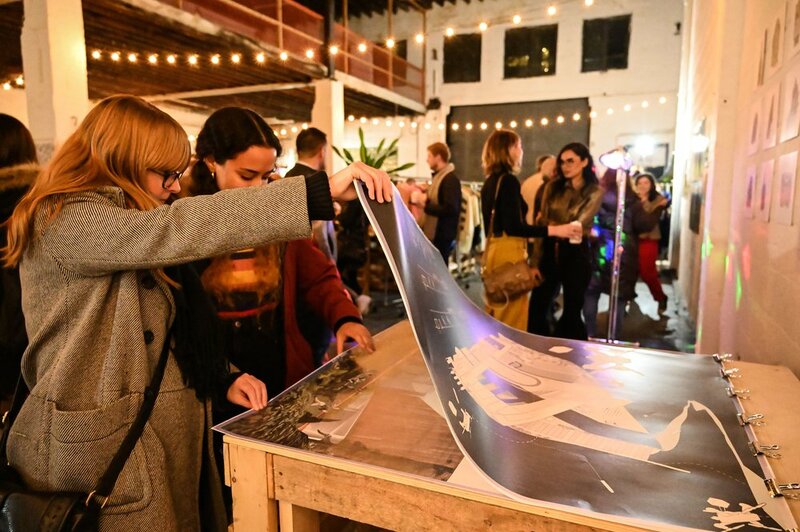 SUSTAIN & Brooklyn Art House presented an Eco-Art Showcase hosted at The Canvas in Williamsburg on Jan. 25-27th. For one weekend only, guests were able to immerse themselves amongst local artists with work that ranged from photography, paintings, and multi-media art that centers around our Mother Earth: environmentalism & sustainability. 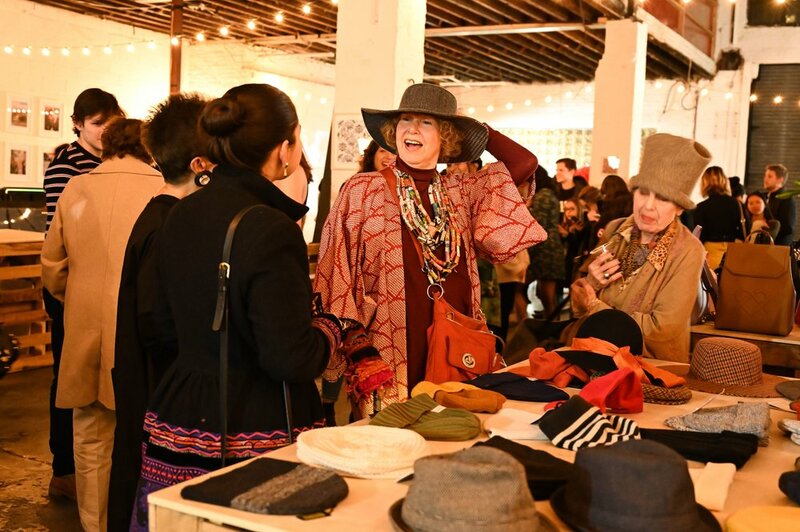 The showcase was free and open to the public on Jan. 26-27th hosted in the first ever sustainable emporium, The Canvas. But for one night only on Friday, Jan. 25th from 6-10 pm, guests were invited to experience the showcase first hand while networking with sustainable professionals and meeting with the artists. Sponsors for the night included complimentary drinks by Proud Pour, which gives back to help environment restoration, and Toast Ale & light bites by AKUA Kelp Jerky, Bare Snacks and Screamers Vegan Pizza. There were also special performances by local Brooklyn artist, Madeline Jaina and stand-up comedy by Non Kuramoto. Missed our event? 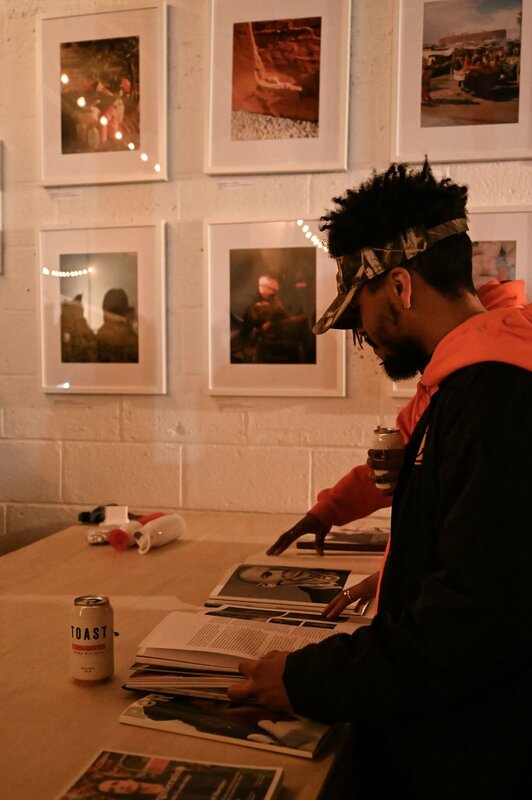 Check out the 20 local artists below. In 2004, Arielle moved to New York City to pursue a career as a makeup artist. Since her move, she has successfully made a career as a freelance makeup artist and is currently working steadily on films and television on the East Coast. Arielle has an affinity for the unconventional and is continuously drawn to projects that push the limits of her creativity. Currently working as a makeup artist in film and television, she also has a sustainable clothing line called Four Rabbit. Artist, designer and educator originally from Colombia and based in Brooklyn, NY. He has been working as a designer, art director and illustrator for the last 15 years. His work has been exhibit in galleries and museums in Bogotá, New York, Paris, Hong Kong and Berlin. Echo Yun Chen is an artist, illustrator, and photographer living in NYC. She uses art as a way to inspire, bring joy, capture light, and spark conversation around modern-day issues. She loves to work in watercolor and colored pencil to create whimsical and playful worlds for people to interact with. She also is the co-founder and creative director of SeaStraws.co, a start-up with a mission to save the seas by providing education alongside sustainable compostable and reusable straws. Some things she is passionate about are reducing waste, plants, coffee, children's books, dogs, the Asian-American experience, women supporting other women, and faith. Eric is a simple man who loves taking photographs and spending time with his S.O. In his 9-5 life he produces video content for corporate brands in very sterile environments. So in order to keep his 9-5 from consuming his soul Eric tries to take any opportunity he can to get back to the wild. Nature has always inspired me, but now it has become a necessity to get out of the city and into the mountains and forests upstate as much as possible. Eric likes to take photos while he’s there so that he can share the beautiful things he finds with people who might not have the access/time/resources that he has been fortunate to receive. 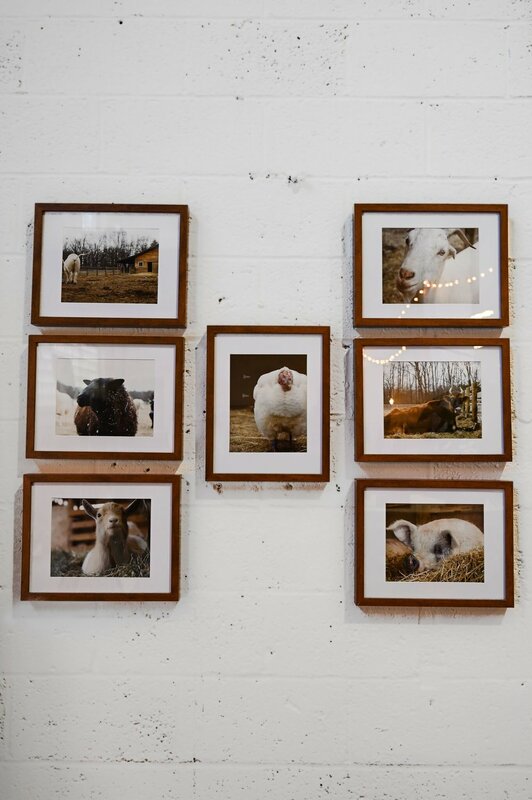 Anne Whiting is the founder of the traveling art gallery series The Brooklyn Art House. A fashion designer, painter, and writer, she’s a passionate sustainable design maven and fashion textile geek. Her Trashion series is a continuation of her textile waste study at Parsons School of Design. An active supporter of the arts, Anne is on the Junior Board of the arts education nonprofit Free Arts NYC, and a Young Fellow at the Frick Collection. She’s also the creative director behind the sustainable fashion label Anne James New York, which collaborates with artists around the globe on limited edition, fine art-based collections. Michele Brody is a community-based, mixed-media environmental artist who has had one-person shows in France, Germany, Costa Rica, Chicago and New York City. She has received an artist grant or residency almost every year since receiving her MFA from The School of Art Institute of Chicago in 1994. In 2011 she was awarded Best 3-D Entry at the international Art Prize competition in Grand Rapids, Michigan. She currently resides and works in The Bronx where she recently had a one-person show of Reflections in Tea at the Bronx Museum of the Arts in 2016, and annually hosts a CommuniTea for Seniors during Older Americans Month in May. 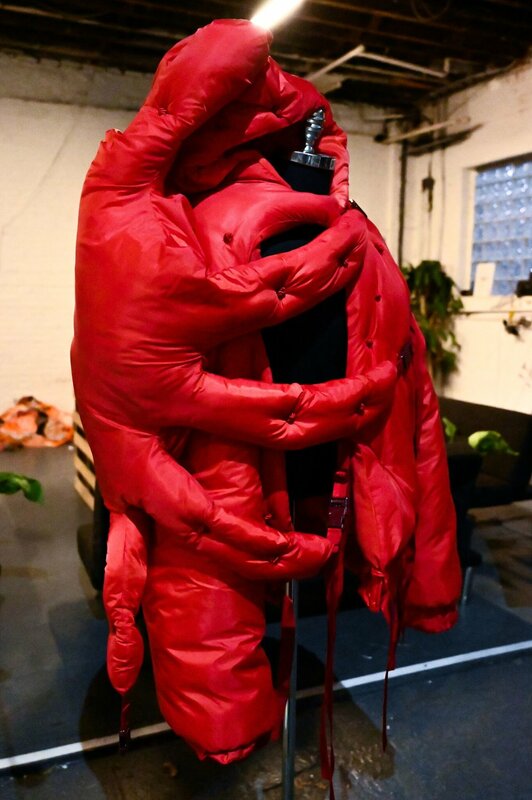 Tanu Vasu is a NYC based fashion designer and artist, she creates hybrid forms of clothing equating artisanal practice with innovation and a strong emphasis on sustainability and ethical practice. Her series of illustrations titled ‘Continuum’ explores the uninterrupted evolution of New York city streets and the lifecycle of various buildings. Tanu Vasu draws parallel to the many heritage buildings that are demolished annually and replaced with contemporary structures. Is it sustainable to remove the existing building infringing the connection between person and significant space opposed to affixing sustainable solutions to the original structure? Each building is essentially one of a kind with a different distinction to the other creating significance in its current location. Spaces enclose emptiness in order to be created, what is the space that exists without the structure? There is a vital connection between person and structure, when the building in existence is removed the space is insignificant. Replaced with contemporary representations of structure the space re-gains new life and a distillation of new memories. 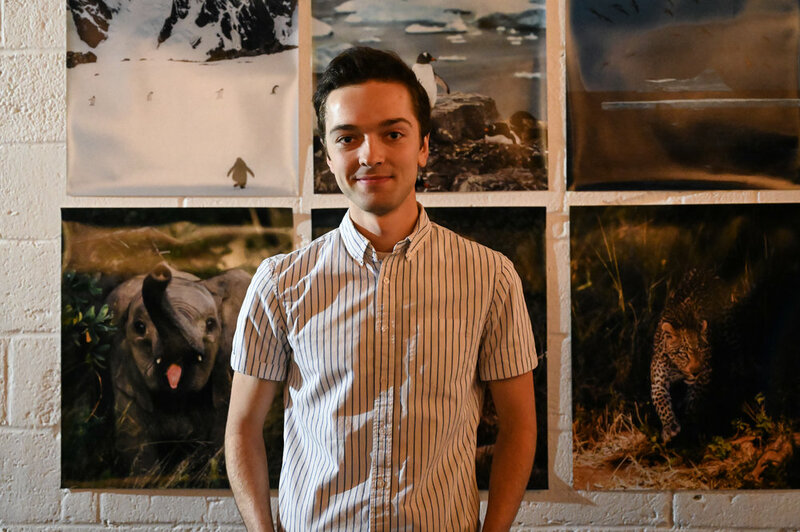 Stephen Troiano is a 23-year-old recreational photographer and writer. 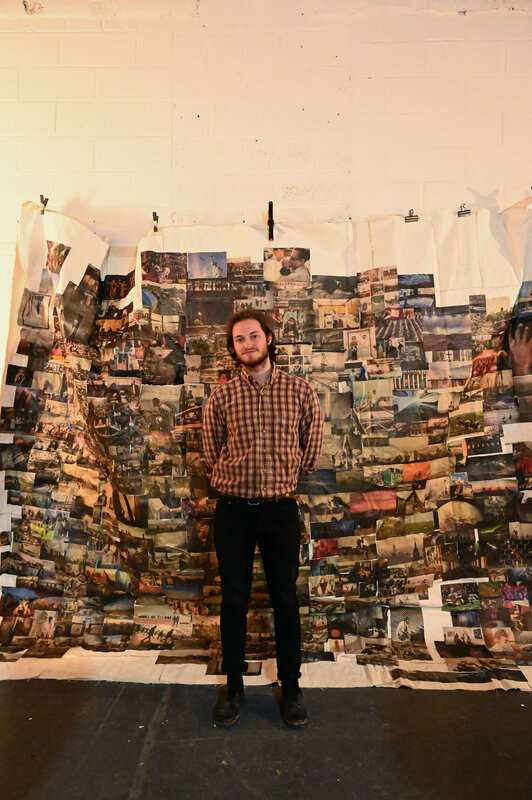 His untitled photo collage, compiled of over 400 newspaper photos created over a two-year span, was a product of access to free newspapers, lack of bedroom decor, drugs, alcohol and an interest in current events. Each photo was cut out for a specific reason in Stephen's mind and then arranged next to similar images to create a contrast between the beauties and evils of humanity. Before moving out of the apartment in the summer of 2017, he transferred each photo from wall to canvas so that it can serve as a historical timepiece. Stephen Troiano in front of “The Wall”. Gbemi Mustapha is a 21-year-old college student, from Washington D.C. He lives in Queens and go to St. John’s University. Both of his parents migrated from Nigeria to America in hopes of a better life and the embodiment of that. He has the the option to follow my own dreams and work for myself until he is fulfilled, he has bigger dreams than working in a monotonous office with men in suits. He paints because he knows it can bring him to true happiness and enlightenment. I learn more from my art and others art then I’ve learned in school. I love learning and the only way for me to learn is to get my hands dirty and put in the work. Jamie Rose is an artist attending the School of Visual Arts in New York City and will graduate in 2020 with a BFA in Photography and Video. Her work typically consists of candid portraits, street scenes, GIFs/mixed medias, and personal narrative. Her work often pushes the viewer to ask questions and generate profound thoughts. Jamie is constantly working towards merging her main interests of art and environmentalism into one concept. She looks forward to changing the world one day. Isabel Varela is a positive fashion disruptor, zero-waste artist, social activist and sustainable fashion designer founded on a mission to bring awareness to healthier and more sustainable options within the fashion industry. Her goal for each piece of art that she creates, although multi-layered and diverse in materials with different creative processes, holds to the primary purpose of shining the light on issues in the environment and humanity. 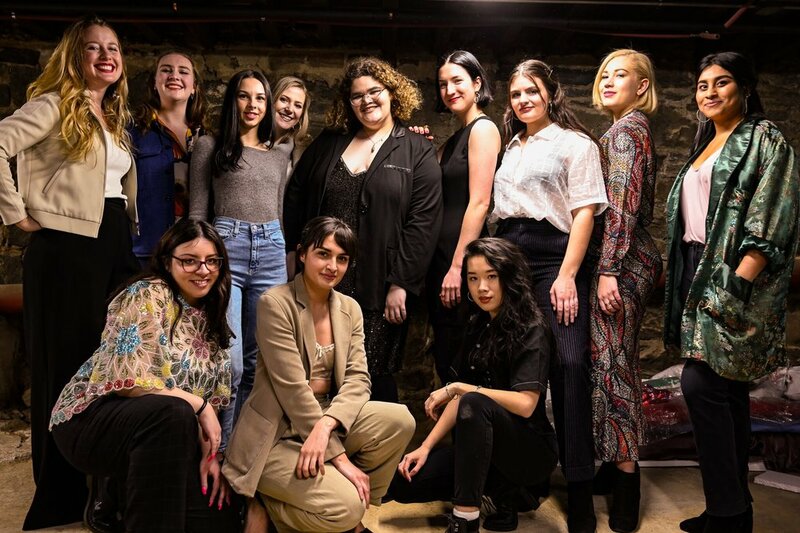 The fashion industry needs to change its archaic ways of producing and the more we educate ourselves and others, the more we can implement more change. Waste is explored within the textile and consumer context, by up-cycling my wardrobe and scrapping the pieces to create mixed media images that magnify pollution to our land and water as in “Scrapped Pollution,” 2019. The installations signify both the physical and psychological effects that the fashion industry has on the environment and offer positive solutions that we can all implement in our lives today. The vulnerable yet powerful short film, “Fashion Addict,” 2018, touches on a unique aspect of the industry that no one is speaking about but needs much consideration and changed. The artist never really called herself an artist out loud, she just enjoys creating things and working with different mediums. FocusedFilm practiced photography for 5 years now and she recently began to shift into conceptual portraiture. A few years back she decided to start working under the pseudonym FocusedFilm after photography became my primary focus. While photo will always be the medium that doesn't shift into the background of my creative process, she is always excited to shift gears in how she cultivates her art. Annette Schoeman’s biggest passion is for the natural world. She grew up closely around animals and many different settings of nature, embedding in her love for it that fuels her fire for wanting to protect it from the ongoing destruction that is happening around us. Annette hopes that through hard work, spreading the message through word, art, and any medium, that together we can begin to all care more deeply and look better after our beautiful earth. Joe Thomas is a travel and urban landscape photographer based in New York City. With a passion for exploration, Joe’s curiosity has led him to create work across all seven continents. His clients have ranged from non-profits to luxury hotels in Asia, Europe, and North America–including the International Fund for Animal Welfare, and the Four Seasons and Fairmont hotels. Joe’s work is marked by his ability to capture details that show new perspectives of both lesser known and iconic locations. His work has been recognized in publications such as the Washington Post, Boston Globe and Suitcase Magazine. Joe Thomas in front of his photography. Jon Levine just graduated from Northeastern University for architecture. He treats the field as a way to forcefully interrogate problems, some self created, some particular to society or culture. The way he draws and designs often reflects these pursuits and interrogations... He believes a drawing should have agency. Natalia Martinez Sagan is an Argentinean interdisciplinary artist and educator specialized in sustainability, based in New York City. With more than a decade of professional experience as a costume designer and maker, stylist, and creative director, and over 20 years of active engagement as an environmental activist, Natalia is dedicated to raising awareness about climate issues and sustainable living through creative practices. She is also a Climate Reality Leader, trained by former US Vice President and Nobel Prize Laureate, Al Gore, and a team member of Fashion Revolution USA. An aspiring photo editor, Maria Aragao is a contributing writer/photographer to SUSTAIN, and studies Photojournalism at St. John’s University. She has worked as a freelance photographer since 2016, specializing in portraiture. She is a social media intern at 4 Eyes Photography, an award-winning New York photography team. Studying photojournalism has prompted her to pursue a career focused on sharing stories for social justice. Maria is interested in helping others on a big picture level. De La Roca is an artist and designer with a make your own approach that positions her at the intersection of fashion and art. Her hand painted silk dresses, repurposed vintage and quirky and creative earrings are one of a kind art to wear pieces that express her spontaneous spirit and keen eye for harmony. Based in Brooklyn, but still proudly exuding the bohemian chic of her SoCal upbringing, she works from her home studio, or traveling set up when inspired to create on the road. Her attention grabbing pieces are intended to be worn from classy city situations to the vibing heart of dusty festivals and make a statement about universal consciousness and love. Her mission is to release inhibitions, inspire joy, and transform lives through works of artistic freedom.